The Padres announced Monday a series of changes coming to Petco Park, including the relocation of the “beach” play area away from the center field fence and a renovated Hall of Fame. The sand play area will be placed along K Street, where children will be safe from incoming home run balls, according to the Padres. It will be replaced by a two-story social space with wood decking and pilings, and 60 seats. The space, sponsored by beach clothing and accessories store Sun Diego, will have room for around 600 standing fans, according to the team. The new Hall of Fame will be located under the left field bleachers on K Street and open in time for the All-Star Game in July. 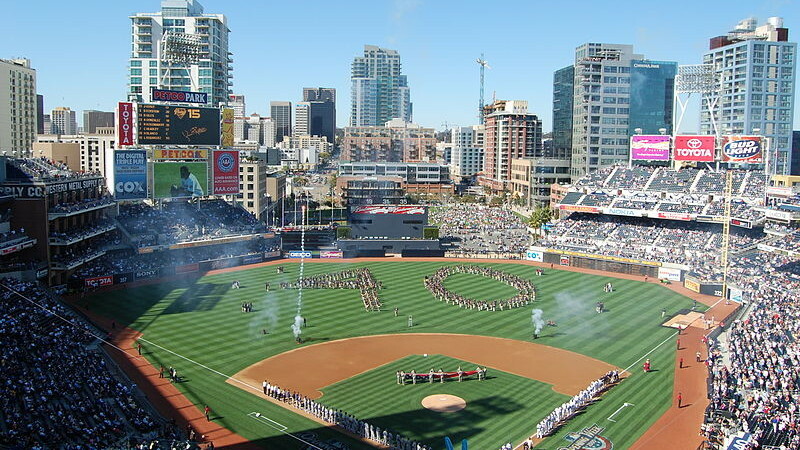 The Padres said more details on the project will be released in the future. Also, smaller projects that showcase the history of the franchise are underway throughout Petco Park, according to the Padres. Team officials also announced the installation of 222 new seats, flooring and handrails in the Lexus Home Plate Club; the addition of LED lighting; and new protective netting behind home plate.